Silvia Gaia is Senior Lecturer in Accounting at Essex Business School of the University of Essex. She graduated with a PhD from the University of Rome TRE (Italy) and was a visiting scholar at University of Birmingham (Birmingham, UK), HEC Montréal (Montréal, Canada) and Columbia Business School (New York, USA). 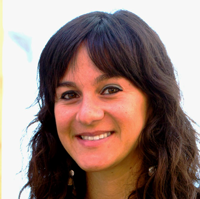 Silvia’s research work mainly relates to Corporate Governance, financial and social-environmental reporting. She has publications in academic journals such as Accounting, Auditing and Accountability Journal, British Accounting Review, Journal of Business Ethics and International Business Review. She is currently on the editorial board of Accounting Forum.